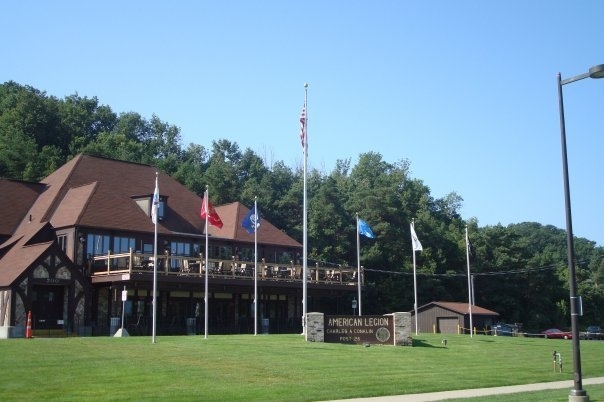 Charles A. Conklin Post #28 was named in honor of the first serviceman from Grand Haven to make the supreme sacrifice in World War I. He served with the Rainbow Division and died May 7, 1918 in France. Many Weeks Grand Haven's first soldier has fallen in battle in France in the great world struggle for liberty. Mr. and Mrs. Andrew Conklin, 1200 Washington Avenue, this morning received a message from Adjutant General McCain of the war department at Washington informing them that their son, Charles Conklin, 160th United State infantry died.. The Charter was issued at the National Headquarters in Indianapolis on August 1, 1920. Meetings were first held in the Armory, the basement of the library, the rooms over the Kroger store, and in 1936 in the Oakes Building. The present site at 700 S. Harbor was purchased in 1937. By the spring of 1938, meetings were held in this new structure. 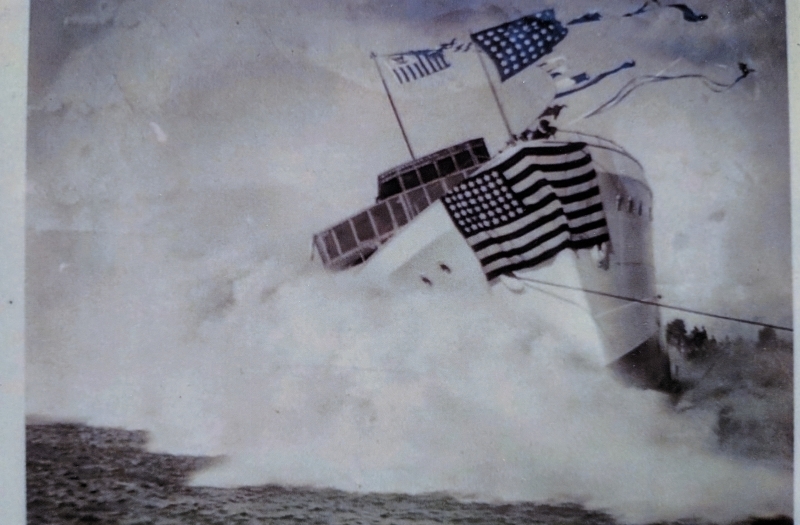 The USCGC Escanaba was a 165 ft "A" type United States Coast Guard cutter stationed on the Great Lakes from her commissioning in 1932 until the start of U.S military involvement in World War II in 1941. The Escanaba was redeployed into the Atlantic following the outbreak of the war. 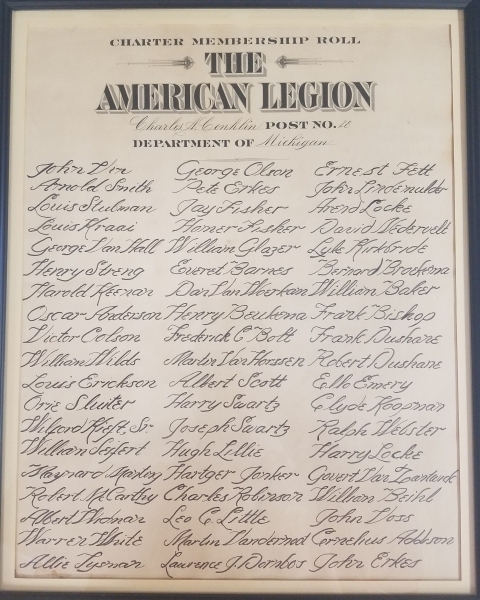 The ship was ultimately lost during the war due to being struck by either a torpedo or a mine on the..
October 7, 1967 markes the completion of the repair and remodeling work of the now current building of the American Legion Post 28. 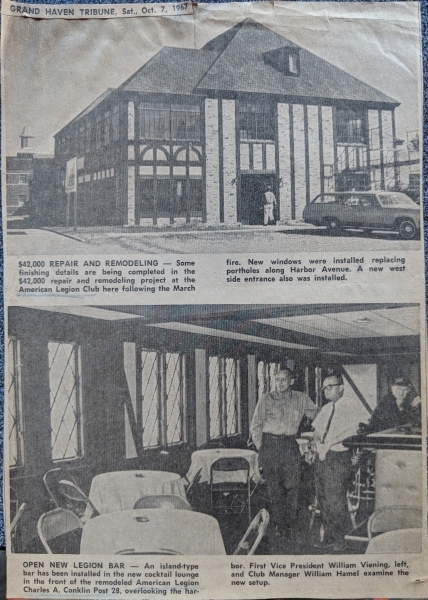 A building fire earlier in the year led to the repair and remodel project withj a final cost of $42,000. The project contained new windows to replace the portholes facing Harbor Avenue, a new west side entrance installed, and a island-type bar in the cocktail lounge. The picture features Vice President.. 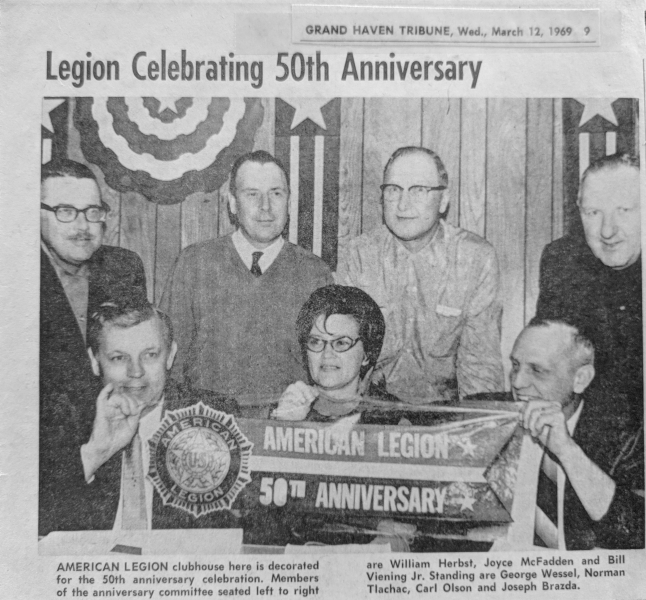 The American Legion Charles A. Conklin Post 28 celebrated the 50th anniverary of the American Legion on March 12, 1969. The Post held a celebration on Saturday which expected to bring in over 300 people for the night program and dinner-dance. Commander MacKellar and members from the Honor Guard and gusts took part in a Memorial Program to Honor Charles A. Conklin the namesake of the American Legion Post #28 of Grand Haven. 93 years ago on May 7, 1918 Charles A. Conklin died four days after he was wounded in France. 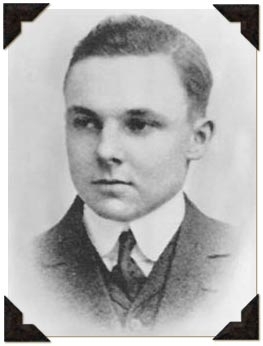 He was a 1914 graduate from Grand Haven. Charles A. Conklin was the first to give the Supreme Sacrifice from Grand Haven to..